THE BEATLES The Capitol Albums Vol. 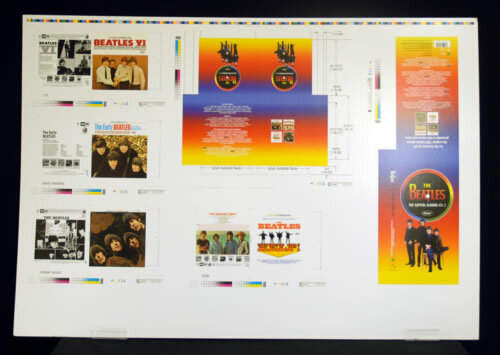 2 (2006 US 40" x 28" sheet of proof artwork for the CD releases, printed onto card stock, featuring the artwork for all four card wallets for the CDs, along with the outer box and fold over card inner. Each part of the artwork has measuring lines and colourtone markers. This copy is in wonderful condition with just a little scuffing to the corners to show for its years in storage).